You need to trust that your reports and data are delivering accurate insights for smart decision making. However, maintaining the accuracy and quality of your data involves manual and unstructured testing processes that are slow and error-prone. An automated Cognos testing system, like MotioCI, simplifies traditional testing methods so that you can rest easy knowing that you are delivering quality BI reports and assets. You can automate the testing of your checklist items on a repeatable, continuous basis and at any stage of the BI development cycle. The sooner you catch errors with your reports, the cheaper they are to fix. By having continuous, automated testing in place, you can catch errors early on in the development cycle and repair them at a much lower cost. Your business users demand quick reports and dashboards. When you automate your testing process, you can reduce the bottleneck from manual testing and are able to get these quality BI assets into the hands of your user community. Because manual testing methods are riddled with human error, you end up with poor quality data. Regression testing tools do the checking for you, ensuring that your data is meeting your expectations. 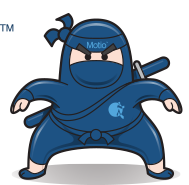 MotioCI has the most extensive features available for Cognos testing. 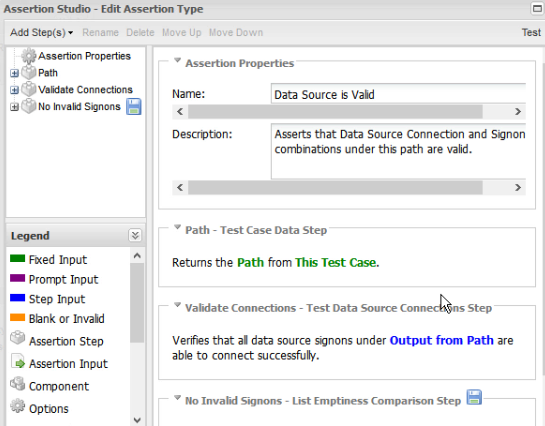 MotioCI comes with pre-built testing criteria called Assertions. 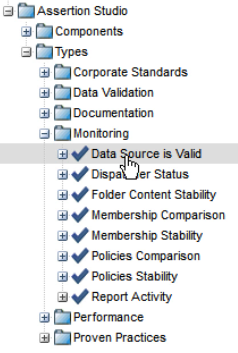 These assertions allow you to verify a particular condition about a Cognos report or object. You also have the power to customize and create your own assertions in order to test what's relevant to your organization. For example, you can confirm that your dispatchers have consistent settings or you can compare report outputs to the result of SQL. The possibilities of what you can test for are endless. Data validation: validate that report outputs have the correct data values. Enforce IBM “Proven Practices”: for example, ensure that security policies are defined according to accepted practices (Securing the IBM Cognos BI Environment). 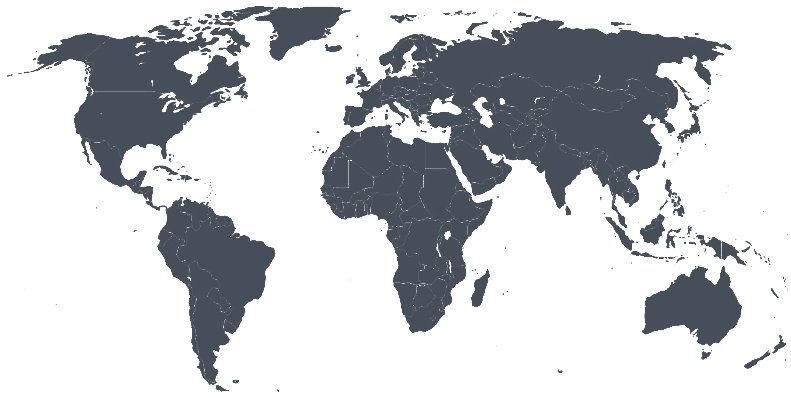 Confirming the output size remains within a specified range of its initial value, etc. You can automate all configured Cognos tests to run at regular intervals (e.g. "run all tests every 2 hours"). This concept of Continuous Integration enables MotioCI to reduce the time and costs associated with BI development by proactively monitoring IBM Cognos environments and notifying you when a problem surfaces rather than relying on your end users to discover it. MotioCI's comprehensive Cognos testing provides the most reliable approach to validating Cognos content in the development cycle.